Nine Year Mortgage: Are financial plans just for the rich? Filed under 9YM Blog, Budgeting, Client Experiences, Credit Score, Debt Elimination, Nine Year Mortgage, Retirement by Ashley on Jan 24th, 2014 . Comment. Every parent needs to know these 3 warning signs of children who may have money issues down the road. 9 Year Mortgage wants to point out these red flags, as well as give possible solutions. Filed under 9YM Blog, Budgeting, Money Saving Tips, Nine Year Mortgage by Mary on Aug 22nd, 2013 . Comment. Here at 9 Year Mortgage, we know that most retirement planners are facing a gap between their retirement goals and their actual retirement savings. Taking the initial retirement planning steps, setting aside and investing money, is the start of creating a retirement plan that you want. However, there are some other steps you can take to make sure that you will truly have enough money to cover your needs in retirement. Filed under 9YM Blog, Budgeting, Money Saving Tips, Nine Year Mortgage, Retirement by Mary on Aug 7th, 2013 . Comment. As cheap as camping seems, 9 Year Mortgage knows that it can be quite pricey. Even when you are supposed to be roughing it, there are lots of ways that you will likely end up spending money unnecessarily. Here are some tips to keep costs down, while keeping your time in nature enjoyable. Filed under 9YM Blog, Budgeting, Money Saving Tips, Nine Year Mortgage, Uncategorized by Mary on Jul 11th, 2013 . Comment. Dieters, beware. Studies have shown that grocery shopping with a credit or debit card instead of cash increases the amount you spend on sweets and fattening foods by about 40%. The logic behind this isn’t earth shattering, but it is still good to know if you want to keep your spending and your weight in check. 9 Year Mortgage knows that when you use cash, there has to be prior planning involved in the grocery list, and then there has to be a visit to the ATM for the right amount of cash. Your credit or debit card is there for a quick craving, but overall, cash is the better option for major grocery shopping. Filed under Budgeting, Debt Elimination, Money Saving Tips, Nine Year Mortgage by Mary on May 7th, 2013 . Comment. If you’re going back to school yourself or sending a child off to college, the cost of education adds up. 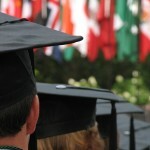 9 Year Mortgage offers a few tips to keep tuition and other school expenses as low as possible. Filed under 9YM Blog, Budgeting, Money Saving Tips, Nine Year Mortgage by Ginelle on May 7th, 2013 . Comment. 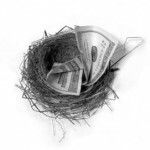 Filed under 9YM Blog, Budgeting, Nine Year Mortgage, Retirement by Ginelle on Apr 10th, 2013 . Comment. Filed under Budgeting, Money Saving Tips, Nine Year Mortgage by Ginelle on Mar 27th, 2013 . Comment. Filed under Budgeting, Nine Year Mortgage, Retirement by Erica on Mar 20th, 2013 . Comment. Have you ever experienced a job loss, unexpected medical expenses, or an automobile repair out of nowhere? It`s events like these that can catch us off guard and result in significant debt if unplanned for. 9 Year Mortgage suggests some solutions to building a 6 month savings plan so you can start to get ahead. Filed under Budgeting, Money Saving Tips, Nine Year Mortgage, Retirement by 9 Year Mortgage on Mar 13th, 2013 . 2 Comments. Filed under Budgeting, Nine Year Mortgage, Retirement by Mary on Mar 11th, 2013 . Comment. 9 Year Mortgage, we know that taxes are stressful enough as it is. Having to deal with an unethical or simply inferior preparer will only make your experience worse, especially if it sets you up for an unpleasant audit later on. Filed under 9YM Blog, Budgeting, Credit Score, Nine Year Mortgage by Mary on Feb 19th, 2013 . Comment. For decades, parents have been paying their children an allowance for doing work around the house, yard, and even sometimes for nothing at all. Is there any harm in rewarding kids for their help with chores, or for just being a good kid? 9 Year mortgage suggests that there is. 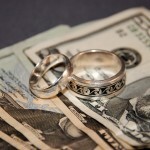 Filed under 9YM Blog, Budgeting, Nine Year Mortgage by Mary on Jan 22nd, 2013 . Comment. Filed under 9YM Blog, Budgeting, Debt Elimination, Money Saving Tips, Nine Year Mortgage by Mary on Nov 13th, 2012 . Comment. Filed under 9YM Blog, Budgeting, Money Saving Tips, Nine Year Mortgage by Mary on Oct 15th, 2012 . Comment. Filed under Budgeting, Debt Elimination, Money Saving Tips by Ginelle on Sep 21st, 2012 . Comment. With the release of the new iPhone 5, 9 Year Mortgage knows that getting a smartphone is fresh on my people’s minds. However, this isn’t a new fad. In February 2012, polls showed that half of mobile phone owners in the United States had a smartphone. Conventional cell phone users are diminishing, with two out of three people purchasing a new phone choosing a smartphone. And while smartphones are pretty remarkable, 9 Year Mortgage wants you to know about some costs you need to watch and be prepared for. We also want to give you some ideas to help keep this area of spending under control. Filed under 9YM Blog, Budgeting, Money Saving Tips, Nine Year Mortgage by Mary on Sep 21st, 2012 . Comment. Filed under 9YM Blog, Budgeting, Money Saving Tips by Ginelle on Sep 10th, 2012 . Comment. 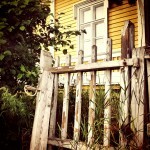 Filed under 9YM Blog, Budgeting, Nine Year Mortgage, Retirement by Ginelle on Aug 30th, 2012 . Comment. Filed under 9YM Blog, Budgeting, Money Saving Tips, Nine Year Mortgage by Ginelle on Aug 1st, 2012 . Comment. 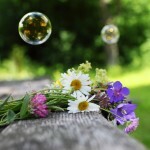 Filed under 9YM Blog, Budgeting, Money Saving Tips, Nine Year Mortgage by Mary on Jul 5th, 2012 . Comment. 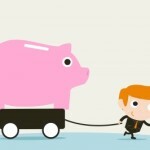 Filed under 9YM Blog, Budgeting, Money Saving Tips by Ginelle on Jul 2nd, 2012 . Comment. When preparing to retire 9 Year Mortgage recommends you create a finical plan for even monthly and daily expenses. As you look over your potential budget you may be surprised how seemingly tiny expenses made frequently will add up over time. 9 Year mortgage encourages you start trimming your expenditures now in order to ease the shift to living without a salary. Here are some areas you should consider reducing. 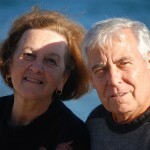 Filed under 9YM Blog, Budgeting, Money Saving Tips, Retirement by Ginelle on Jun 18th, 2012 . Comment. Being savvy about food expenses will save you a large amount of money over time; one way that 9 Year Mortgage recommends you do this is using your freezer as much as possible. 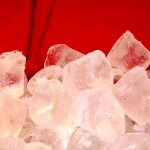 Freezing food will ensure you always have something on hand to cook, and allows you to make the most of sales and typically without affecting your electricity cost all that much. 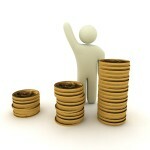 Filed under 9YM Blog, Budgeting, Money Saving Tips, Nine Year Mortgage by Ginelle on Jun 13th, 2012 . Comment. The kids will soon be out of school, temperatures are rising, and there are just a few more days until it’s officially summer. If you are planning on taking a summer trip it can be challenging to stay on a budget- especially with the price of. 9 Year Mortgage has a few suggestions to save some money on your vacation. 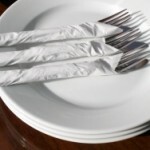 Filed under 9YM Blog, Budgeting, Money Saving Tips by Cassandra on Jun 13th, 2012 . Comment. There is no one size fits all budget, and even at different times in one person’s life they may need different budgeting techniques. 9 Year Mortgage has 6 suggestions for you to improve your current budget. 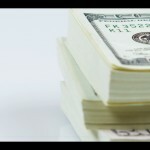 Filed under 9YM Blog, Budgeting, Money Saving Tips, Nine Year Mortgage by Cassandra on Jun 5th, 2012 . Comment. 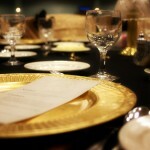 Filed under 9YM Blog, Budgeting, Credit Score by Ginelle on Jun 5th, 2012 . Comment. Filed under 9YM Blog, Budgeting, Debt Elimination, Money Saving Tips, Nine Year Mortgage by Cassandra on May 30th, 2012 . Comment. Filed under 9YM Blog, Budgeting, Money Saving Tips, Nine Year Mortgage by Cassandra on May 17th, 2012 . Comment. It’s wedding season, and while finances may not be the most romantic thing to talk about, having this talk is an essential part of avoiding financial mistakes. Since finances can be a source of conflict in marriage, 9 Year Mortgage suggests talking about your financial situations before tying the knot, which will help you avoid making these 5 mistakes. 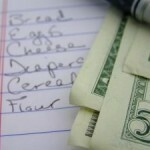 Filed under 9YM Blog, Budgeting, Money Saving Tips, Nine Year Mortgage by Cassandra on May 15th, 2012 . Comment. © Copyright 1996 - 2019 Nine Year Mortgage. All Rights Reserved.